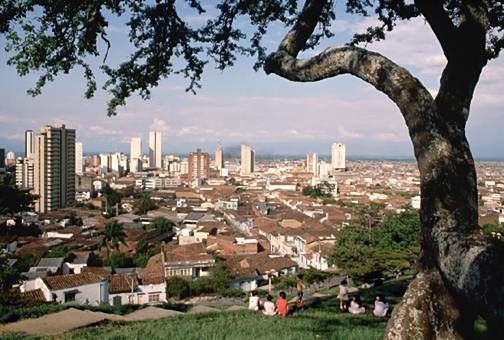 About 44 million people call Colombia home, making this one of the most populated countries in Latin America. It also has a young population, with about a third of the residents less than 15 years of age. Most Columbians live along the eastern coastline facing the Caribbean or in the highlands of the Andes. Most Colombians are mestizo, a mix of native Amerindian and European ancestry. About a fourth is descended from Spanish, Portuguese, Italian and German settlers. A small percentage of the population is mulatto (descended from African and European ancestry), zambos (African and Amerindian) and pure black African. Native Amerindians make up only about 1% of the residents. Colombia may not have been a popular tourist destination in the past, but that is slowly changing. Today, Colombia is enjoying the attentions of more and more tourists who are attracted to the region's beauty and charm, lured by its history and the joy in its festivals and celebrations. 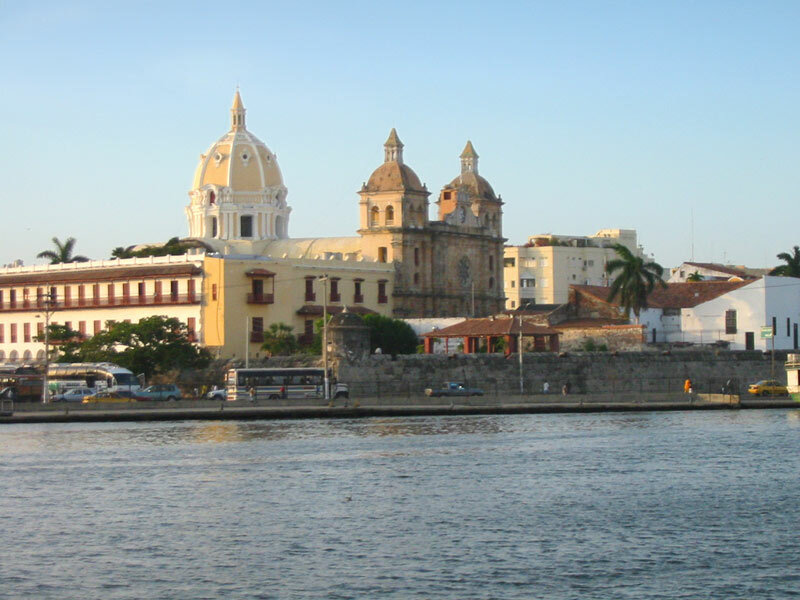 Tourists who arrive by cruise ships also discover Colombia via Santa Maria and Cartagena. 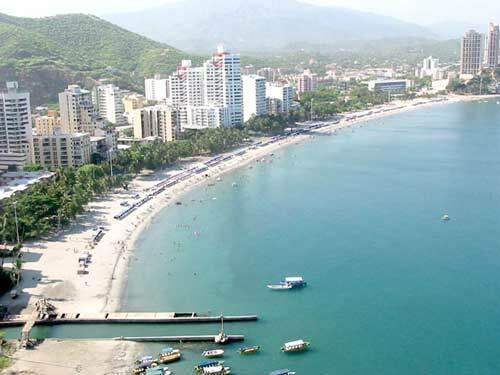 Colombia shares borders with Venezuela, Brazil, Peru, Panama, and Ecuador, and there are beaches on the Caribbean Sea to the east and on the Pacific Ocean to the west. This is one of the most ethnically diverse countries in the region and certainly one of the most alluring and mysterious. Colombia enjoys a tropical climate, with variations depending on the region, location, and landscape. Local weather also changes, with temperatures and precipitation dictated by the trade winds. Both the La Nina and El Nino phenomena also affect Colombia's weather, and average temperatures vary according to the altitude. Colombia also experiences wet weather. Colombia's topographical diversity allows a wide variety of flora and fauna to flourish, particularly in the famous Amazon rainforest. 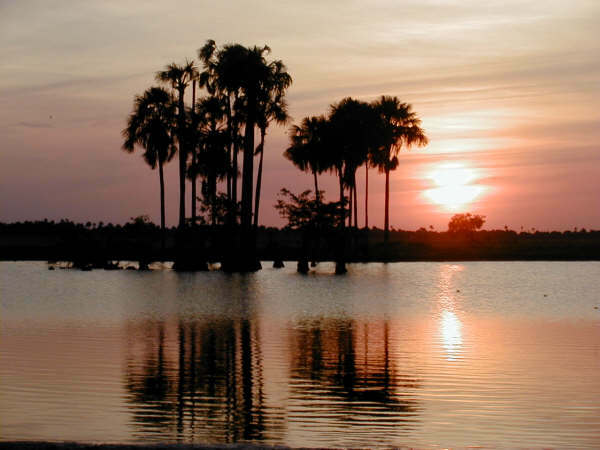 There are also mountainous regions, plains, and low-lying areas, including the famous Orinoco River basin. 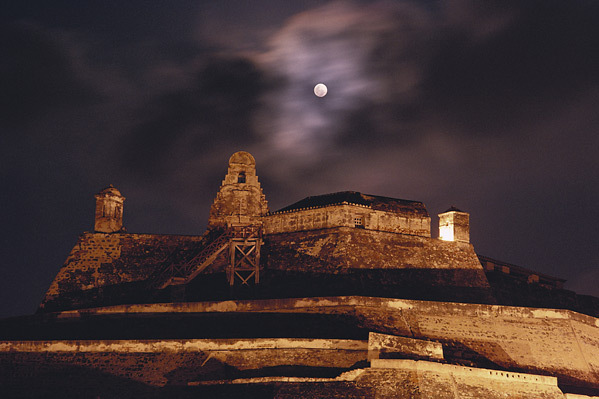 Columbia has been inhabited for several thousand years. In Bogota, now the capital, small communities of hunter-gatherers formed the earliest settlements. By 1000 BC, Amerindians had created a political system led by caciques. The country we now know as Colombia was originally made up of several nations, becoming part of Gran Colombia along with Venezuela, Panama, and Ecuador under the Spanish conquistadors, who united the region in the early 1500's. Colombia later won independence from Spain in 1819, although it was still joined with Panama and known as the Republic of New Granada. It was declared the Republic of Colombia in 1886, and 17 years later, Panama seceded. As an independent nation, Colombia has had its share of political turmoil and violence, particularly from 1899 to 1902. Armed conflict also came as a result of the drug trade and numerous attempts to overthrow the Colombian government. The conflict has abated over the years, however, allowing Colombia to enjoy relative peace. Today, Colombia has one of the healthiest economies in South America. Columbia attracts visitors who are both adventurous and careful, looking for a unique vacation experience. Taxis are the most common form of transportation here and they will take you anywhere you want to go. You can also join a tour group for a more organized visit. 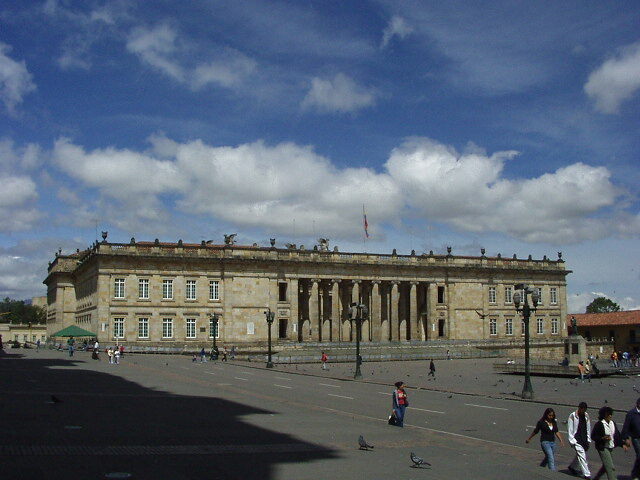 The city center in Bogota offers several excellent stops, including the historic La Candelaria district, the Plaza de Bolivar, and the Museo del Oro. The museum showcases approximately 34,000 pre-Hispanic gold pieces. The Museo de Botero, which showcases the art of Fernando Botero, is an excellent stop where you can enjoy paintings by Marc Chagall, Picasso, Renoir, Matisse, Monet, and Salvador Dali. For tourists who love to shop, Colombia is famous for its textiles and excellent deals on high quality lingerie, leather, shoes, and other articles of clothing. Some of the best deals can be found in Medellin, where most of the locally known designers are. Colombia is also famous for precious stones, particularly emeralds. Hand-woven throws and bags are also favorites among tourists, and found in malls and small shops that line the streets. Bogota is an exciting place for tourists who like to experience the nightlife, and along with Medellin, offers plenty of excitement and late night parties. Bars and clubs offer a variety of entertainment, so you will have a good choice from among several spots to visit. Local bands, dancers and musicians will introduce you to the famous music and dances of Colombia. The majority of Columbians are Christian and at least 80% are Roman Catholics, but there is a small percentage of the population that practices Islam, Hinduism, Buddhism and Judaism. Although affiliated with a religious group, more than half of those who participated in a recent survey do not actively practice. The official and most prevalent language in Colombia is Spanish. However, local dialects are also widely spoken, particularly in native territories, and there are about 75 dialects used, depending on the location. Proximity to Latin America countries and the United States has also helped shape Colombia's culture. This, along with migration, politics, economics, and globalization has also contributed markedly to the country's art, music, dance and literature. Colombia's cuisine is as diverse as its culture. Indigenous dishes and cooking styles define Colombian food. Spanish, French and Italian cuisines also influence Colombian food and are quite apparent in some of the most famous dishes of the region. The flavors of the Caribbean and neighboring Ecuador and Venezuela can also be tasted in many dishes. Not surprisingly, Mexican and other Latin American flavors have also found their place in Colombian menu. What should you expect to eat in Colombia? Try the famous bunuelos, deep-fried dough made with corn flour and a cheese center, and arepas, Columbia's version of corn tortillas. You will also find tamales, made from steamed maize, with chopped chicken or pork, and served with eggs and vegetables. This dish is often accompanied with hot chocolate. Other favorites include Bandeja paisa, made with fried plaintain, eggs, chorizos and chicharron (deep-fried pork skin and meat - very crispy) with a rice-and-bean base, and Sancocho de gallina should also be part of the menu. This is Colombia's version of chicken soup. And of course, empanadas are a must, made with flaky dough, deep-fried with a meat and potato filling.